Home Orthodontics & Braces Do Braces Hurt? Recently, I’ve gotten quite a few questions about whether or not braces hurt. A lot of the questions are from young people who will be getting braces very soon and are getting kind of nervous about whether or not the braces will hurt when they get them put on. 1 – Do braces hurt when they get put on? 2 – Do braces hurt after they’ve been on for a while? 3 – Do braces hurt after they get tightened? 4 – Do braces hurt when you get them taken off? Do Braces Hurt When They Are Put On? 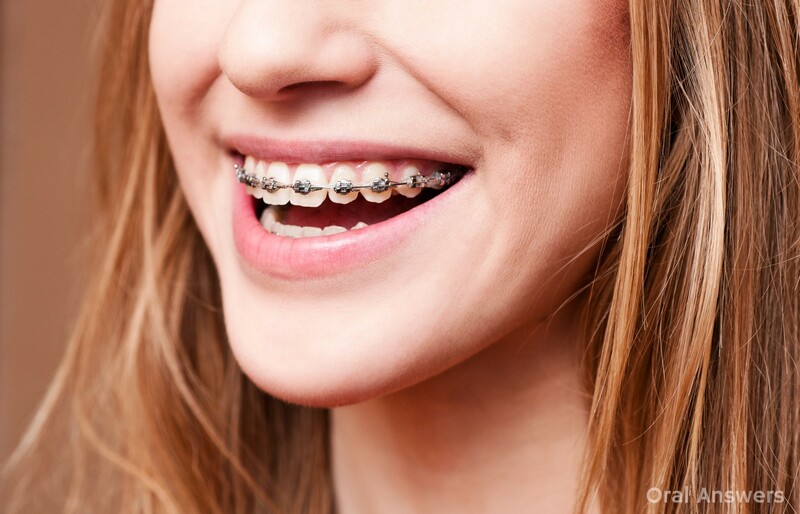 When the orthodontist puts your braces on, he or she will usually glue metal brackets to the front of your teeth and might even put metal bands around some of the back teeth. After that, your orthodontist will usually put a wire that runs through all of the brackets. The wire is what gradually applies forces on your teeth that causes them to move. Having braces put on usually doesn’t hurt at all. However, a few hours after the appointment, your teeth will most likely begin to hurt a little bit. The pain isn’t a sharp pain, it’s more like a dull pain. The best example I can give is to have you press hard on your fingernail. It may not really hurt, it might just pinch a little. Now imagine this same pinching feeling going on in your mouth. This is similar to the feeling that I had when I had my braces on. Keep in mind that we all experience pain in different ways. For some people, getting braces may not really hurt at all, and for others it can be rather painful. Do Braces Hurt After They’ve Been on for a While? The reason braces hurt when you have them put on is because they are applying force on your teeth that makes your teeth move. After a few days, the pain usually goes away as your teeth have already begun the process of moving and the tension in the wire has gone down. After I’d had my braces on for a while, my teeth felt fine. They felt like they did before I had braces — that is until I went to my first appointment to have them tightened! Do Braces Hurt When You Have Them Tightened? After you go in to have your braces adjusted, you will usually experience some more pain, although it probably won’t be as bad as it was when you first had them put on. When you go in to have your braces tightened, the orthodontist will usually evaluate how your teeth have moved and put in a new wire to keep them moving into the position that will provide you with an ideal, healthy smile. The new wire will have some tension in it and may cause you some discomfort until your teeth have moved into their new position. This discomfort generally is most painful in the initial 24 hours after they are tightened but should resolve within two to three days. After that, your teeth should feel great until you go in for your next appointment. Do Braces Hurt When You Have Them Taken Off? Having your braces removed is usually the highlight of the whole experience for many teenagers! When you have your braces removed, the orthodontist takes out the wire and removes the brackets from your teeth. I helped one of the orthodontic residents remove a teenager’s braces not too long ago and the brackets just popped right off. She was nervously wondering if it would be painful to have them removed. After the appointment she was relieved to realize that it really didn’t hurt at all! After the brackets are removed, the orthodontist will make sure that all of the glue has been removed that was holding the brackets off and may choose to polish your teeth. Getting your braces off shouldn’t hurt at all! Did you have braces or are you getting braces soon? Share your experiences with everyone using the comment form below. Also, if you have any questions about braces and pain you can also leave a comment below. I have a question about orthodontics. My daughter sucked her thumb, and I was told she needs to be treated asap. She is twelve. Her palate has curved excessively, and the shape of her upper jaw is very narrow, barely meeting the bottom teeth (and then only partially). Her front top teeth protrude quite a bit, but for some reason it isn’t obvious (you can’t tell by looking at her). She stopped sucking her thumb quite awhile ago. We were told that they would have her use a mouth device that changes the shape of her jaw. It will prevent her from closing her jaw the way she would normally and will force her lower jaw forward. After that (which will take 6 months?) she needs braces. My question is, is this the procedure that is followed in the US? I am in the UK. If it is, what sort of device is used in the US to change the jaw shape? Does it hurt? Is it only used at night, or does it somehow get held in place during the daytime? Is it like a retainer? She doesn’t have it fitted until March. The reason I am wondering is that I’m hoping we will be moving back home to the US this summer, so she would have this treatment interrupted, and they may not even use the same method there. The entire procedure is free here under the NHS, because it is considered medically necessary due to her problem, and I’m not sure what happens if a dentist takes on a new patient that is in the middle of treatment of this kind. I would hate to start something that will be scrapped and started all over again. Hi Kera – We do receive some orthodontic training at my dental school, but it’s not nearly as much as the orthodontists get. I’ll do my best to answer your questions and let you know where I’m not quite sure! From what I’ve been taught, thumb-sucking really becomes a problem after after the permanent teeth have come in. For treatment, this is something that is done in the U.S. It is generally known as headgear. You can get a detailed explanation about headgear in this Wikipedia article. If you want to see pictures of what headgear looks like, this Google Images page will give you a general idea. Headgear generally needs to be worn at least 12 hours per day or it won’t be effective at re-shaping the jaw. An orthodontic resident I spoke with said that he recommends having the patient put the headgear on right after school and keeping it on until the next morning before they go to school. I don’t think it would be a problem if you move. By the summer, your daughter may be almost ready to get her braces on. If it were my daughter, I don’t think I would wait since it’s only possible to re-shape the jaw while it is still growing. Once her jaws are finished growing, it would require surgery to correct any abnormalities. I hope that helps! If you have any other questions, let me know. Thanks for the comment, Kera! Thank you! It is a big help. hi. i’ve had my braces for about a year now and i just found out a little while ago that they weren’t on my back teeth and molars. I got them on yesterday along with some thicker wires and that hurt i guess about as much as they did when i first got them on all of my teeth, being sore that is. Anyway i woke up this morning and my teeth were sore as i don’t know what! i was wondering if they would stop hurting by saturday if i got them on monday afternoon? Hi Naima – You can probably answer this better than me, now that it’s Saturday! Usually the pain only lasts a few days then your teeth will begin to not be as sore. I hope that helps, Naima. Thanks for your comment! I am over 20 and in braces, and I love them! You are only talking about teenagers here, and I really want to adress the adults unhappy with their teeth; if you can’t decide, here is my take. Would you rather people think “ugh, why doesn’t she/he had he/his teeth fixed?” or “oh, she/he is having her teeth fixed”. Would you rather be smilling with your hand over your mouth for the rest of your life, or get through a process and come out with smilling just the way you want forever? Hi Bookfairy – Thanks for your comment! You make a good point. I do have an article that’s half-way written answering questions that adults have about braces. You might’ve just given me the inspiration I need to finish it up and get it posted within the next couple of weeks. Thanks for your encouragement for the adults out there that are reading this. Hi Tom, how are you? Is there any other thing that would make our teeth hurt other than tighten the wires? I need to know because I am having braces next week and I am afraid it would hurt a whole lot… Next week would be my first time getting my braces on.. I hope that you would tell me as soon as possible.. I really afraid and nervous about this.. By the way, I just turned fourteen this month will it hurt a lot more because my gums would get harder? My parents actually planned to make me put my braces when my teeth were completed when I was 11 but I was afraid so they cancelled it for a later date and wait till when I am ready.. When I was 12, I suddenly had a new full grown tooth sticking out of my other teeth and my parents told me that it is because the tooth had no remainding space so it had no choice but to stick out like that.. When I was 13, I went to the dentist and pulled the tooth out.. It hurted a whole lot and I feel an empty space on my left side of my teeth but I managed to get used to that and now I am having braces this year so, help! hello bookfairy, yeah your right and i am one of it :(. i”m actually thinking if i need to take it or not .i cant decide because of the all article i read specially in the internet. I am getting braces on next week and i am scared because everybody says you feel so much pain after they put the braces on and when they tighten braces so can you tell me what i should do if i feel a lot of pain after the braces are put on Plz HELP ME! Hi Banana Lover – Your orthodontist will tell you the best way to manage the pain that you get after your braces are put on. For some people, ibuprofen (such as Motrin) will help the pain. For other people, cold foods such as ice cream or frozen yogurt will do the trick. Your orthodontist may have other suggestions of what can help. I hope that helps. Let me know if you have any other questions! hello tom – can i ask some question ? where the pain depends ? i mean it depends it on the teeth will should allign correctly on you or what ? by the way i’m 16 male and i cant decide if i will get some on of it or not . i am 13, and i am going to be getting braces, I get really scared becausde everyone says you have pressure on your teeth and it feels like your teeth are gonna fall out..Is this true? 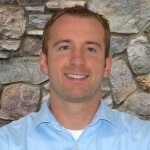 Hi Frankieecool – Congratulations on taking the first step to a straighter, better aligned smile! While you do experience pressure on your teeth, it should only last a couple of days or so. I never felt like my teeth were going to fall out. Well, actually there was one time when I got my braces tightened and the next day we went out of town. I remember on the airplane, they gave us a ham and cheese sub. The bun was really hard and when I bit into it, my teeth did feel kind of loose. Orthodontists know exactly how much movement your teeth can handle, so they make sure that they’re not moving them so fast that they get loose. You will probably feel a dull pain when you get them put on and then a dull pain each time they are tightened. It’s not too bad. I hope everything goes well for you – Let me know if you have any other questions. Thanks for your comment! My 9 year old daughter is getting braces and is scared to death. She is wondering how children her age generally respond to braces. Can you please give her some guidance? She has a friend who got braces and told her that they hurt and now she is scared. Thank you! 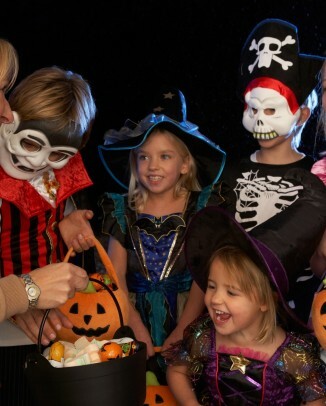 Hi Charlene – We only spend a limited amount of time in the orthodontic clinic. From what I remember, everyone seemed like having braces wasn’t too bad. Then again, they probably only started to feel some pain after they left! The pain that most people experience isn’t too bad. I think that the reason everyone complains about it is that it lasts for so long (a few hours to a few days.) Also, her friend’s situation is probably different from your daughter’s since everyone’s mouths are different. I’m sure she’ll be fine – when we work ourselves up, we usually find that things aren’t nearly as bad as we originally thought. I hope that helps, Charlene. Let me know if you have any other questions! To calm fears about braces I’m writing again. My daughter had a mouth appliance (upper and lower retainer) prescribed. They did not do the headgear thing. Anyway, in order to change the shape of her jaw and how her teeth lay the retainer has a “key” widens the retainer and puts constant pressure on her teeth outward while at the same time forcing her to close her jaw in a way that will push her lower jaw outwards (as it sits too far back from thumb sucking). The first day she got the appliances put in it caused her to salivate excessively, and she could not talk well or swallow easily. She said the pain was excruciating. Ok, so I panicked and called for an appointment and had her only try to wear it as much as she could stand. I asked her to practice speaking as much as possible so that she would get used to it and wear it as much as she could tolerate until we could get another appointment. The end result is that after a day she was completely used to it. She has figured out how to swallow (although she takes it out to eat), no longer salivates excessively and she can speak almost like before, and it doesn’t hurt anymore. I think that this appliance is much worse than braces, so if she can get used to this then braces will be a piece of cake. Kids can handle more than they (or we) think they can. If I had to do it all over again I would do the same….tell her it won’t hurt and then deal with it when it comes, because thinking about pain can be worse than dealing with pain. Plus, the actual pain from pressure on her teeth is very minimal, which is what someone with braces will experience. Hi Kera – Thanks for sharing your daughter’s story! Any dental appliance definitely takes some time to get used to. Hopefully your message will help those people searching the internet wondering if the braces they are about to get are going to hurt. Hi Chels – Your orthodontist will be the best person to answer those questions. I had a gap in between my front teeth and it pretty much closed on its own. All I needed in terms of orthodontics on my upper teeth was an appliance to help widen the upper jaw. I don’t think it will hurt any more than most people’s braces. It’s really not too bad – I’m sure you’ll do great! Let me know if you have any other questions. Thanks for your comment, Chels! hi, i’ll be getting braces this may, im only eleven, am i too young for braces? well im feeling sort of excited,nervous anything! im scared of the pain! will the orthodonitst put some sort of nail on our mouth? will he inject some sort of liquid in our gums? will he allow me to have braces? but my teeth dont have problems,its clean., it just only have gap. Don’t worry. I’m 11 and I have braces! Your orthodontist will answer your questions. I’ve seen kids 8 years old with braces. No need to worry! How are you? My daughter will soon get braces for the first time in a couple of weeks or maybe next month? She is 12 years old. Her teeth are not very crooked but just one simple wisdom tooth about a 90 degree angle but her doctor said she need braces. What do you mean “…for others it can rather be painful?” My daughter keeps asking me if it hurts or not and from what I can see, she is scared and nervous. I have a few questions. -How are the braces put on? By hand or machine? -How much pain would she experience when the braces are tightened? -How many times/appointments are needed for tightening a year? I also heard that my friends have experienced pain when getting them off? Can you please explain? I really appreciate this because my daughter just keeps complaining about the pain. Haha. Hi Jennifer – I’m good, thanks for asking! All I meant is that different people have different responses to pain. For some people braces can hurt a lot, and for others it’s not too bad. Personally, I only found that it hurt the first few days after getting them on/adjusted. 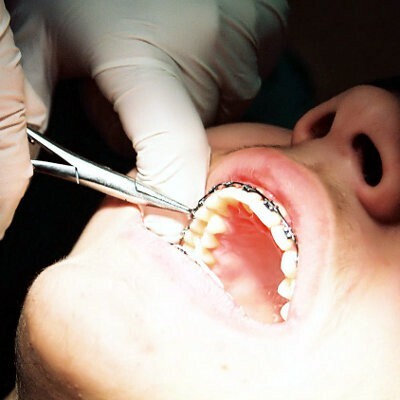 1 – The braces are usually put on by hand. The dental professional will put some conditioning gel on the tooth so the bracket can get a better bond. Then, they will attach the brackets by hand by putting some glue on the bracket and pressing it against the tooth. 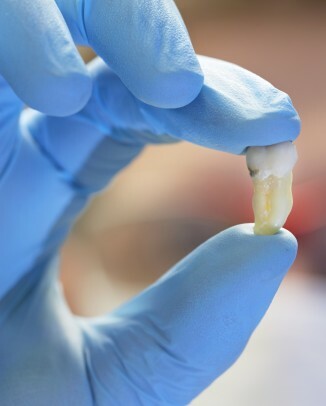 At our school, we use a light-cured glue, so we then shine a light on the tooth so that the bracket has a strong bond to the tooth. 2 – In my opinion, the pain isn’t too bad. If you press against your tooth hard enough, it will start to irritate it, and that’s a similar pain to what is experienced with braces. It’s more of a dull/achy pain, nothing share or really intense. 3 – Usually orthodontists see patients back to have their braces tightened every month or two, depending on the treatment plan of the patient. When I got my braces off, they scraped against the tooth. It wasn’t really painful, but it was that electric shock similar to nails scratching on a chalkboard that gives me goosebumps. Usually, once you go through with something you find that it’s really not as bad as you feared it would be. I’m sure everything will go fine. Good luck! I hope that helps. Let me know if you have any other questions. Thanks for your comment, Jennifer! I am almost turning 13 have quite a few questions. Would you reccomend ‘Invisalign” for teens if they have… for example… like a wisdom tooth? So I’m going to the orthodontist this week for the doctor to check my teeth first. Can “Invisalign” also be used for a wisdom tooth? Would it work? Or would you rather reccomend braces? I’m asking you this cuz after I saw the product of “Invisalign,” I thought that it be better than getting braces and it would be less painful? Hi Anh – Are you getting your wisdom teeth taken out before braces/Invisalign or are you hoping to keep your wisdom teeth and make them straight? Unless you have a fairly large jaw, there may not be room for your wisdom teeth. If there is room, I don’t see any reason why Invisalign couldn’t be used, but keep in mind that I don’t have much experience with Invisalign. Invisalign can be just as painful as braces, as both products are designed to move your teeth into their proper alignment. I hope that helps, Anh. Let me know if you have any other questions. Thanks for your comment! i got braces and it hurts like no tomorrow !!!!!! my first day today i got them finished at 10 40 a.m.now its 10 40 p.m. and its killing me to death ! Hi Keke – I’m sorry they’re hurting so bad! Hopefully the pain’s not too bad now that it’s been another 24 hours. Some orthodontists recommend ibuprofen (Motrin) to help alleviate the pain. You can check to see if yours recommends that for the pain. Good luck! I hope that helps. Let me know if you have any other questions. Thanks for your comment, Keke! Hey! My teeth are crooked a little bit. My right front tooth is bulging out a LITTLE bit in front of my left front tooth. I’m a little worried. I’m worried because I don’t know what the pain or what it will feel like to have braces. My best friend has recently had ,had her braces taken off in July and I thought her teeth looked amazing!!!! I’ve had spacers put in my mouth on the top and bottom, but those were actually comfortable to have in and put in. They’ve actually fallen out sometimes cuse ive picked @ ’em! So please help me on this! i wanna kno wat braces feel like!!! ahhhhhg!!!! Hi Corrinne – You may have felt your teeth move slightly after the spacers were in. It might have been a dull, slight pain, if there was any pain at all. 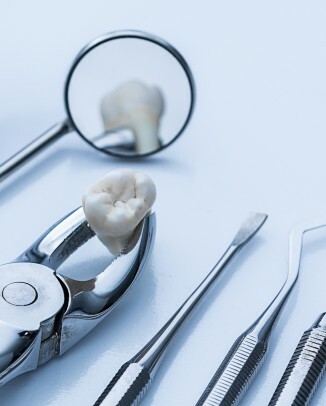 If your tooth is only bulging out a little, then it probably won’t have to be moved very much and I’m sure it won’t cause you hardly any pain at all. I wouldn’t be worried – ask your friend if she felt much pain. I didn’t think that the pain from braces was anything horrible. Most people are anxious just because they’ve never had braces before and they are scared that they will be in a ton of pain. I think for most people, the pain is pretty manageable. I hope that helps! Let me know if you have any other questions, Corrine. Oh um my orthisdontist says that my dad should scheduele an appointment in the near future for this. My other teeth are also crooked and I’ve asked my friend and she said they didnt hurt. But my other 5-10 friends have braces and they said it hurt alot so i really dont know what to believe. But they said on like to 5th day the pain was like a 2 on a scale from 1-10. Hi Corrinne – I think it really depends on the person and their teeth. Even if they do hurt a little, I don’t think the pain will be that bad. Good luck with whatever you decide! Hi Rachael – The best way is to make sure you are brushing and flossing regularly. With braces, you need to use a floss threader in order to get your floss up near the gums above the wire. As long as you keep your teeth healthy, they should stay nice and white for you. Good luck with braces! Hi Beth – In order to floss with braces, you need to use a floss threader or use a specially designed piece of floss. Here’s a pack floss threaders on Amazon so you can see what they’re like. With braces it is important to take special care of your teeth and gums in order to keep them healthy. Many orthodontists recommend brushing, flossing, and using a fluoride rinse to keep your teeth healthy. I don’t think you would develop any marks from drinking tea or coffee as long as you are going to the dentist regularly for cleanings. I hope that helps, let me know if you have any other questions. SORRY about that !!! My friend gave me a polo mint and i said no but am i allowed like breakfast bars and mints . As well what should i eat as my b.day is coming up in a few days and i dntno if i am alloewd the sneaky choclate or mint or cake. Hey Tom! I am probobly getting braces in January or Februray or March. Do they hurt? Hi Cassidy – I wouldn’t get worked up over it. The slight pain I did experience really wasn’t too bad and having straight teeth made it worth it. I am getting braces in about 4 weeks. I am very scared about the first step, putting on the braces. I am getting them before school starts in the morning. I will arive at school around an hour early. Will my braces hurt all day long? Should I pack some Advil’s? Please help me. I am very terrified of the hole prociduer. I am getting Damon Clear braces. Hi Emily – You can expect some discomfort after getting the braces on. As for Advil, I would wait and ask your orthodontist what they recommend for pain. I wouldn’t be too scared – a lot of it is probably fear of the unknown. I didn’t think it was too bad. Good luck with your braces! I hope that helps – Let me know if you have any other questions. Thanks for your comment, Emily! Heyy Tom! I’m getting braces in about 4weeks. And some people are telling me to get clear braces while others say not to. What kind should I get? And are the clear braces more painful? Please reply! both are the same the clear ones are just… well clear! and is it the wire that makes the teeth hurt, or the brackets? Hi Christa – The bracket should be able to be glued back in. The wire puts pressure on the bracket, which puts pressure on the tooth to move, so they both are technically causing the pain in the tooth to get it to move. Hi Delaney – It really depends on the person. It can take a few days for the initial pain to go away. You should still be able to chew hard foods, you just might have to do it more slowly. Let us know how it goes and share any advice you might have once you get them on. Thanks for your comment! hello, my dentist says i have amazing hygiene but recently when i had aa cold i woke up one morning with white bits on the bottom of my front 3 teeth is this normal cause i had to breatth out of my mouth due to blocked nose could this just be the cold or the glue from the braces coming off. my mum said that it could be something to do with hydration what do you think?? Hi Harmony – They may hurt, but I don’t think they hurt too bad. I’m not sure about the pink and black, but they could work. You could ask your orthodontist to try them on two teeth for you to see. hey its me again sorry but will i be able to chew gum and what will i be able to eat candy wise? Hi Harmony – It’s best to avoid chewing gum – you can ask your orthodontist. I know that I did chew gum and I think most people with braces succumb and chew gum at least once! Anything sticky and chewy can damage the braces which could prolong your braces treatment time. I got my braces put on 4 days ago and fortunately haven’t had alot of pain esp after they were just put on and even thought they weren’t working, but now i am getting a little discomfort from the braces and was just wondering, do braces continue to work in between tightenings and do you still get the dull pain feeling in between ortho visits? Sorry, i also forgot to ask whether its normal to have itchy gums after you get your braces get put on. My gums have been itchy for 2 days now and i am not sure if that is normal. I recently got braces and my dentist applied this plastic thing to put on top of one of my teeth to help so I don’t bite on my braces. So far, because of this plastic thing I cant close my mouth all the way, I cant chew because my top teeth and bottom teeth don’t touch and the plastic thing along with my brackets are scratching and cutting my tongue. Do you know if this plastic really helps and if the pain (cutting and scratching) will go away? well after about 30 minutes it felt like my teeth were broken and falling out, and they smelled horrible!!! i had all kinds of junk coming out of my mouth when they put them on wich hurt since my check were strected and for perspective, i couldent even eat soup with out it hurting like h*ll. Hi , I’m eleven && I been researching braces for quite some time . I am wondering if they will hurt really bad ? My brother said it hurt so bad && he was barely able to eat . Will I be able to eat ? I am really scared ! And also will my braces affect my performance in competitive cheerleading ? Thanks . I just got braces at 9am it’s 3:40pm now and they aren’t hurting just a tad irritating, will they hurt really bad tomarrow morning? Hi Sadie – It all depends on the amount of force between the braces wire and your teeth. Hopefully they will just stay at that “irritating” stage and not get much worse. Good luck with your braces! Come back tomorrow and let us know how you’re doing. My mom was hoping to get braces on for me soon, but she is worried about the pain coming with it. She said she might delay my appointment since it could give me head aches which may bother me during my school studies. I was wondering if the pain could really cause head aches and if I could endure the pain without medication? Also if it interferes when I eat food? Hi I’m really scared I’m getting braces tomorrow and rubber bands do rubber bands hurt? My friends say its hard to talk. Help! Well yes i would say it is Hard to talk but it would soon get better. When i got my braces like 3 months ago putting them on did not hurt at all. In my case the only thing that i did get pain was for getting them tighten now that hurts but its something that you can handle its not of. Big deal i still sometimes get nervous about it! But braces are so comfortable i love it ! Now i have a question : Why is it that sometimes only one tooth hurts? And i have another question : whats the best brush to clean deep down your gums and teeth? Am 19 years old currently under orthodonic treatment. can my jaw still shift? im getting braces today does it hurt? and wil i hve to use retainers after it? Hi in getting braces im really scared is it going to hert? hi, i’ll be getting braces this may, im only eleven, am i too young for braces?well im feeling sort of excited,nervous anything! i have to get braces alot of people say they are bad why do they think that? Im getting braces before this May and Im not nervous at all but the only part im nervous about is when they tighting it , because i heard braces dont hurt forreal , it just hurt when they tight it, and im starting to feel very scared at that part. Is there any medicine that can help out there? Or anything that can help cause im scared and I want pretty straight healthy teeth but im scared about the braces. Get some Canker sore medicine. Apply it to your sore cheek. That should help (: Otherwise, ask your orthodontist. well i think you can drink a pain reliever,. well it helps me a lot. and now im comfortable with my braces! you can ask you ortho. abput this pain reliever thing so the she\he can reccomend you. Hello everyone. im just writing to tell you that i recently got braces and they barely hurt. the best thing to do is take ibuprofen after the braces are put on, i also discovered that hot drinks like tea,coffe,warm milk help the pain. and the pain dont last long. and its will be worth it when you get your lovely straight smile! Hello. Is there any other thing that would make our teeth hurt other than tighten the wires? I need to know because I am having braces next week and I am afraid it would hurt a whole lot… Next week would be my first time getting my braces on.. I hope that you would tell me as soon as possible.. I really afraid and nervous about this.. By the way, I just turned fourteen this month will it hurt a lot more because my gums would get harder? My parents actually planned to make me put my braces when my teeth were completed when I was 11 but I was afraid so they cancelled it for a later date and wait till when I am ready.. When I was 12, I suddenly had a new full grown tooth sticking out of my other teeth and my parents told me that it is because the tooth had no remainding space so it had no choice but to stick out like that.. When I was 13, I went to the dentist and pulled the tooth out.. It hurted a whole lot and I feel an empty space on my left side of my teeth but I managed to get used to that and now I am having braces this year so, help! I am 13 and getting braces in 2 months. My doctor told me that I have to pull out 2 teeth from the bottom and 2 teeth from the top which are permanent teeth! Right after pulling out 4 teeth, braces come to play. I’m really scared about them and how bad are they going to hurt? Please reply! I’m really nervous! Don’t worry, I had to get teeth pulled out before braces too. braces don’t hurt that much. Nothing you can’t handle. i was really nervous and i’m 12 so you should be fine. just try to avoid hard food like biscuits coz that hurts. I’ve had my braces for 2 months and I haven’t had to use painkillers. try eating ice cream because the coldness helps with the pain. Good Luck! Well, I get braces next week. I’m 20, and really nervous. My fiancé was supposed to go with me for support because he had braces when he was younger. I’m worried about pain because I already have mouth pain just from my teeth being pulled a week ago and are trying to move themselves. I’ll be very busy this summer as I am preparing to go back to school(college) in the fall and will be apart of the marching band, I sure hope I can adjust to the difference. I’m hoping the pain isn’t too bad, as I’ve had enough work done to me this year (2012) I’m sure it shouldn’t be as bad as everything else. Will try to post again after I get my braces on. I’m 16 now and I have had braces for about a year now. When I was 13 I had 11 milk teeth removed and they (all but one) have come through. Braces for me only hurt for about a week after tightening because I have and impacted canine and that required an operation. But this still only hurts or about 1 hour after tightening. I still have to get braces on the bottom jaw as I’m waiting on one tooth and I’ll be having braces for about 6 years. To all of those who are worried, it barely hurts, you don’t need to use painkillers, it isn’t that bad and good luck! Hi Tom, I am 11 and getting braces soon, I have a cross bite on my top teeth and my bottom teeth are crooked. Anyways my question is what will it feel like to get braces on a cross bite and what will it look like, will it look any different than if you just got braces on straight teeth but for an overbite or will the braces be slanted? Will it hurt more to get braces on a cross bite? Please help me out, Thank you! Hiya Tom, how’s it going? Anyway, I’m Samantha. I have just a few questions. First of all, when I get my bands the 28th, do they hurt? That’s just about it. Sorry if it’s short. Hi. I’m getting braces on next week and i was wondering if it is uncomfortable getting braces on. I was also wondering what colors you recommend. Oh and I’m a boy. Braces don’t hurt. Everyone makes it sound worse. Colors are a personal choice. I got my tips on and got my bottoms four weeks later. They aren’t bad. I recommend taking Tylenol 30 minutes before your appointment. I did and again before bed an my teeth weren’t bad. I was eating soft solid foods the same day I got my tops. Just remember to drink water, even if your mouth hurts. Hi, I’m 18 years old and I’ll be getting braces tomorrow. I’m really sensitive in the mouth especially when it came to impressions…I gagged and it was just awful. I was wondering, during the process of braces, should I feel that gagging feel since they’ll be working in the mouth? I know everybody is different but I’m just really nervous about it. I’m not too worried about the pain, more of the process of braces being put on. I’m 31 and I just got braces 2 weeks ago, after having a lower incisor removed to make room. My upper teeth overlap my lower teeth so I have a removable upper brace with a built up bit that stops my teeth closing together. After my bite is corrected the upper will be replaced with brackets (my upper teeth are straighter because I had upper braces in my late teens, but they need a little work again now). After my first appointment my lower incisors were sore for about a week but I could bite with them. Yesterday I had a bracket reglued and she also added extra brackets which put a lot of pressure on one particular tooth, and a powerchain to close the gap from the extracted tooth. So more soreness, but over-the-counter painkillers help and I still (carefully) ate a chicken fillet burger and chips today! I got a huge mouth ulcer from a scratchy wire on the first day but I am very prone to mouth ulcers anyway. One of the assistants at the clinic snipped it off for me, if I had put wax on it straight away maybe it wouldn’t have got so bad but I find it fiddly to use and prone to coming off when you eat or melting off when you drink coffee! Hi. I’m about to get braces tomorrow!! I’m really scared. I also got four teeth pulled out a week ago. A week is an enough wait right? Also, when does braces start to hurt? I think my initial appointment to get my braces fitted was only about a week after I had my tooth pulled, and I was fine with that (got delayed cos the orthodontist was off sick then my teeth had moved so the removable brace didn’t fit and had to be remoulded…) As long as the sockets are closed up and not sore I would say it’s fine to get braces fitted after a week. My teeth felt sore when I ate my lunch about an hour after I had them fitted, but not unbearably so, and that was without taking painkillers before or after having them fitted – take some just before you have the braces put on and carry some with you in case they get sore later, and that will help a lot. Also, before you leave the orthodontist make sure to feel the ends of the braces to make sure the wire isn’t poking out the end – this will scratch your cheek so ask them to clip it off if you can feel it. They will also give you some wax to put on any part of the brace that’s irritating your mouth – if you can still feel the end of the wire after it’s clipped/when it shifts as your teeth move, or if a bracket rubs when you eat/talk. I just found out that I might have to get braces. I’m 12 and have anxiety, Im really scared about them because I heard you cant eat serten foods and that they hurt getting on and off. Most kids make it sound awful, like it’s the worse thing on earth. Can you help me? i got braces put on this week and im 11 with a kidney problem and the braces didnt hurt one bit when i put them on. they hurt a few days but then i was fine so im sure you will be two. I am only 10 years old and i got braes a week and a half ago and they still hurt i take tylanol everyday twice a day and my mouth still hurts and i dont know what to do it wasnt hurting till i got 2 teeth pulled out. i don”t know if its because i put the braces then went to get the 2 teeth pulled out. Braces definitely hurt and especially when they scrape against your gums. But the results are amazing. I’ve seen some really misaligned teeth become ver straight. It’s quite amazing. Check out some of these before and after braces photos. Hi, Im 13 and I have to get braces but first i have to get some shots and stuff. But i do want braces but im really scared there gonna hurt. I hate pain and i cry a lot im a baby when it comes to that stuff. On a scale 1-10 how much do braces hurt? I’m getting my braces on in a week, and everybody tells me that they really hurt. I’m really excited cuz I wanted braces for a while. But what about the rubber bands on the sides of your braces? W hat are they for? I’m 28 and a friend and i just got braces they do hurt a bit this is day 3 of having them so i havent been able to really eat anything but soft foods. If i bite something it hurts bad but, i’m extremely excited to see the way my smile will look in 3 years. Plus my daughter has to get braces soon because she has the same dental abnormalities i have so it kind of helps me to know what she wlll go through and it helps her because she says hey my mommy has braces so shes not as scared of being picked at. I’m 17 and i had braces for 4 years. First I was very unhappy with them and I remember the time when it was really painfull. But becouse I had braces so many years it didn’t hurt anymore some time after. Now when the braces have been taken away I’m sohappy that I had them becouse not only my smile is beautyful but I also feel healtier. So I can sure all of you that braces are good thing and they are not going to be stuck in your mouth forever. I didn’t want to have braces first but now I’m really happy that I got them. Hi, im 13 and i have dents and my two front teeth are crooked, so i was wondering, would you recommend braces for me? My mom says it’s not bad, but when I smile, you can tell that there’s a dent in the middle of teeth. I’m getting braces in January 2013. I am kind of scared now that i know about the process. I also have teeth in the top of my gum and I’m getting them pulled on December 13. I’m mostly scared about that I have a feeling I am going to scream and cry. My mom says it’s a mind thing but I think it’s reality. So I’m just going to pray about it wish me the bestest luck. Thx. I have a problem with my second upper tooth (left side). I had my braces adjusted this saturday and all my teeth are fine, except for this particular tooth. Any light pressure causes severe pain.Please help. All my other teeth are perfectly fine. I am 27 years old and afraid to death to get braces on. I have tried a couple of times before but I never could. And I am afraid this time as well but still determined to get it done. I was hearing about invisAlign. Do you think that could help me and is less scary than braces. Please help me out. I really want to get it done this time. Any help is highly appreciated. I turned 16 last year and it took me 2 years to finally man up and get braces since I was also afraid to death to get them. Last summer I got my braces and when I did get them, it wasn’t really that bad as I thought it was 😀 I wished I had gotten them sooner if I knew it wasn’t that bad >_< I guess its different for others. I'm not sure about Invisalign but you can always ask your dentist and see if you can. I'll be rooting for you! I am currently 12 years old and to be honest I am a bit of a wimp. I am getting braces January 14th 2012, I have a friend that has braces (although sadly we do not speak anymore so I cannot ask her for advice) she did say that they hurt quite a lot. I know different people have different limits but truthfully do braces really hurt? What foods can I eat? What foods cant I eat? How long does the pain usually last? My other friend (he is a boy and may be winding me up) said that when the orthodontist removes the brace it feels like your teeth are being ripped out, is this true or is he winding me up? I’m not really scared of getting the brace fitted I’m just worried the pain it will cause. A month ago i had 4 teeth removed for preparation of getting the brace and I must say that did not hurt at all although the injection on the roof of my mouth did hurt a bit! To be honest I am looking forward to getting braces but not looking forward to the pain. Henceforth, I do know the outstanding results it shall give. It will be great of you could answer my questions before the 14th January 2012 if not I will ask my orthodontist. Your teeth will probably be sore for a day or two after each adjustment, you can use paracetamol and/or ibuprofen if you need to. It’s not that bad, I was eating a subway sandwich just after I first had my braces put on! You can eat most things, I eat some things on the “do not eat” list that they give you, like sweets/chocolate, nuts etc – though I eat it carefully at the back of my mouth as I don’t have brackets on the back couple of teeth. But DO NOT eat toffees or really hard stuff. Your male friend is just winding you up, they don’t pull the brackets off, they use some sort of tool to break the glue holding the bracket on, then they will carefully grind away any glue that’s left on the tooth. One thing to bear in mind is that clear or pale bands/powerchains will be stained by certain things eg spicy foods – my powerchain is now bright yellow from eating spicy chicken noodles! Going to ask if they have different colours at my next appointment but I doubt it! I’m not sure if I need braces or not. To be quite honest, I did stop looking after my teeth for a while, and I’m fixing that now, don’t worry! I think my worst tooth is my right top canine. It sticks out when I smile. I have rather large teeth for my mouth, so a few have grown very awkwardly. Considering my past teeth problems and my crooked teeth now, will I need them? Thanks for reading this and hopefully replying! This was written on my phone, so please excuse any errors. How are you? I’m turning 17. I’m getting braces on summer and I’m a bit scared if it would hurt. My question is, how will I eat if it felt uncomfortable having braces on? Hi Tom, first of all i would like to thank you soo much. i have disliked the dentist for so long and when i went to the orthodontics today i was nervous, i mean what kid isnt at their first visit. then i sat down and they looked at my teeth, they kept saying numbers and things like overbite and a bunch of stuff i didnt understand. it really freaked me out.is that normal for a person to be freaked out by stuff that they have never heard of. i was thinking what are they gonna do to me. after they were done looking he explained to my mom and i. he let me see in the mirror and evrything. i was so scared and as i was leaving the office i saw a littler girl with theese red things on the edges of her mouth holding it open. I quietly asked my mom what they were doing and she said that girl was getting braces. once she said that i asked if i would do that too and she said that there is nothing to worry about. Have you ever had that feeling where your gut is telling you to do something but your just a little afraid and you want to do it but you also dont at the same time? thats how im feeling now. oh and i have been meaning to ask what does the retainer do after you get your braces off, because i have heard of it i jus dont understand it completely. Thank you for all your help in advance. P.S. when i get mine do you have any idea of a color i shoukd get i want it to stand out against my hair. my hair is really dark blue at the top and it fades down into almost a periwinkle at the tips. Any ideas??? Hi Taije – It’s completely normal to be nervous about something you’re unfamiliar with. It happens to everyone! The red things more than likely were holding that girl’s lips away from her teeth so that the metal brackets could be glued onto each tooth more quickly. It would be a good idea to talk with the orthodonist or the assistant when you go in next and let them know that it would make you a lot more comfortable if they would explain what they’re doing – most will be happy to do that for you. The braces work to MOVE your teeth to make your teeth nice and straight, and then when your teeth are in the perfect position, your braces will come off and the retainer works to KEEP your teeth in that proper position. You can think of your teeth like a spring and the braces stretch them out to where they want to be. Once the braces come off, the spring would want to go back to it’s original position, and the retainer stops them from doing that by holding them right where they need to stay. I hope that helps! As for colors, a lot of people have shared their opinion on which colors work best on this post: What colors of braces can you get? Hi Taije – Certain foods can cause you to pop off the brackets (they can be re-glued on, but it will probably increase your treatment time) and they may do some damage to the wire that helps straighten your teeth. Your orthodontist should give you a list of good foods and foods to avoid while you have your braces on. Good luck! Hi Tom, I might be getting braces really soon and I am scared to death! I don’t know a thing about them but everyone says they hurt really bad. I feel so dumb because I feel like I am the only one who doesn’t know about them. Please help me! Bree, it will hurt a little bit when you first get them on. Ask your orthodontist for more info. There seems to be a lot of people concerned with getting their braces on! Personally I think that you shouldn’t worry too much, there is some discomfort when you have your braces tightened and first put on but its nothing to get worked up about. There are hundreds of people everyday that have braces fitted and they really aren’t that bad, most people deal with them fine. Any pain is likely to be very mild and is nothing like when you fall over or trap your finger in a door! I would compare it to sleeping on your arm, when you wake up it aches for a little while, this is what my braces felt like (although it did ache for slightly longer). It is generally more of an ache and is something that you will get used to after the first few days or a week. Once they’re fitted you’ll laugh at yourself for getting worried. If you think that you are in a lot of pain it is worth while getting your dentist or orthodontist to take a look, mine were very helpful, I didn’t have too much worry before they were fitted and every time I had my braces tightened my orthodontist reassured me that I was making good progress and that I wouldn’t care about the discomfort once my braces were off and I had that perfect smile! I had my braces fitted 6 months ago with in the UK. I cant wait to have them off in a few weeks! I will try and pop back to share some pictures. I hope everyone gets past their concerns, I am sure you will be very happy with your new smiles! …. and thanks Tom for taking the time to make this site! Hi. I just had my braces. My orthodontist says after my braces i need jaw surgery and then wear my braces again for at least 6 more months. I just wanna know does jaw surgery hurt? How will it affecr my face? I’m really nervous about it. Does everybody have to wear the position era? Do they hurt? What are they exactly for? What are the steps of braces in order? Hi, I am getting braces put on in eight days and once they are taken of I will have a perminate retainer stuck to the back of my teeth. My first question is foes it hurt to get this retainer put on? My second question is will it need to be replaced after a certain amount of time? Hi. am going to get my braces as soon so am wondering about something. I’m 12 and I’m getting braces in a year. I’m missing my lateral incisors so they need to close the gap. I’ve been given the choice of either having my teeth reshaped so it looks like I’ve got them all so my canines will become my incisors etc. or i can have implants. what would you recommend? I’m 13 years old and getting braces put on in October, if the appointment is during school will I miss a full day? How long does it take to be put on? I just got my braces yesterday and thought it would take 7 hours to get my braces on. It turns out, It only takes about an hour to get your braces on. I Had my dentist appointment like 5 months ago and she said the orthodontist would ring in 0-6 months… My next dentist appointment is next Month! She said he would ring in july sometime and it is now september has she forgotten to tell the orthodontist, Has he forgotten about me??? I just want to know if i can wear braces when i have fillings on my front teeth, and also is it possible to have braces if have lacking back teeth. i have a question do retainers and braces hurt when you are 11 years old? Hi I, getting braces tomOrrow and I’m sooo scared any tips .? And does it hurt ? Also will they change you facial form ? I’ve got these elastic things in my teeth currently before I get my braces, are they supposed to giving me really bad aches? And how long is the minimum time to have braces on for? Do they hurt on the days after they are removed? I know its been so long since you put up this post but possibly you can answer me? Does putting on braces have the same feeling as when the spacers are on? Hi Suppp – It is a pretty similar feeling – both braces and spaces apply pressure to the teeth which can cause a dull aching pain around the gums and in the ligament that anchors the tooth into the gums. I hope that helps. Good luck with your braces! Hi Tom, please answer. I will be getting braces after the rest my baby teeth are gone and the adult teeth come in, but I wondered how long it takes to put them on, and how long you have to keep them on? I just got my braces mould done and I should be in braces in Spring.The orthodontic said the braces procedure would be up to 2 hours minimum and I fear how it’s going to feel when they put it on you. And in which cases as an example would elastic bands at the back of your braces be necessary? so um, im getting my braces NEXT month in 20th march so yeah.. Does it hurt really bad? :(( im scared to DEATH!!!! im only 13 years old girl and im really scared!!! also, does it hurt when it tightened? Thank you for the information. I’m going to have my dental braces soon. And according to my dentist, it will hurt because of my teeth formation. Now, I’ve heard some cases that when they have put braces, some problems occurred and fractured their jaw? How is this possible? Hi, I am 16 years old and I just got braces on Tuesday the 22nd of April. I keep hearing that after about a week you should be able to eat a mostly normal diet again but it’s been 5 days and I still can’t. Any pressure and my teeth hurt. Even brushing my teeth too vigorously hurts. Is this normal? Or is it just me? Will it be over soon? P.S. I have actually had a strange dental history, where my teeth came in late and thus fell out late and some even had to be extracted when I was 14. My teeth are really quite hard also. Please reply! Hi I’m getting braces on Friday and I’m just wondering if they hurt when you get them on and how long is the appointment? All my friends r not honest with me I want the honest answer plz .. Does braces hurt for real ! Hi tom. I am 12 currently and this week I was ment to have 4 teeth out, but my dentist decided to do two, because of the antithetic. I had the top two and the ingections hurt like hell mainly the second on both sides. My question is will the bottom hurt as much or not? Hello I have a question I have sensitive teeth and I am getting braces next week and I am really nervous and scared if it hurts noting my teeth are sensitive. After that warning I just dealt with it, and after about 4 appointments they started the elastic bands where they had pulled my teeth out. Just asking is this just me? Sorry forgot to put a period at the end of the sentence. Hello, today I’m really scared because some of my teeth are stuck together and I don’t know why. So my questions are why are my teeth stuck together and if I do get braces what will it feel like. And I’m I just ten I mean is that the right age to get braces? Hey! I have many questions. So I’m getting braces in November or December but I’m nervous about it. I want braces but I’m scared about the pain. Is there any ways to make the pain go away quicker? I don’t like pain & I’m not a big fan of pain. My second question is, how long would I need braces for? My next question is, when I’m going to get my braces on, is the orthodontist going to give me laughing gas? & my last question is, I’ve been in a relationship for a year & I’m really looking forward to still being in it, so when should be the right time that I could kiss my boyfriend? Thank you! I have had braces on for a month and 1/2. And the first 3 weeks and it does still sometimes. hi tom my name is star and im 11 im very verry scared about getting braces.my friend emily had them taken off this year.i looked at the questions about braces and how you responded to them but im still scared i might get elastics or regular,but my teath dont really have gaps but they are crooked what will the pain feel like if they are crooked my teeth also have one half of a tooth behing another thats how they cool can you estamate the pain for that? im sooo scares yikes! sorry about the spelling let me rephrase that hi tom my name is star and i’m 11 i’m very very scared about getting braces. m friend Emily got hers taken off not too long ago.i looked at the questions and how you respond to them. but i’m still scared because most comments say the pain is big. my teeth are crooked some have half of a tooth under the one next to it.can you tell me how much crooked teeth hurt when the braces are tightened put on and taken off, and if my teeth are like i just explained how long would i have them on? I will get braces this christmas vacation … My teeth is not that bad but still needs braces .. I am 13 years old and scared about that pain… My cousin said that it hurts a lot.. I also saw that it will hurt a week or less than .. I want to not feel that pain or discomfort .. Any Suggestions? Hi Gian, I am having braces for the past 2 years. Yes, it does hurt for the first week and it almost feels like removing and throwing them off but then it becomes natural to you. The next time you will feel pain is when you will get it tightened but again for a couple of days. You can talk to your dentist to give you some pain killers for pain management. I dont know if this is a reply to the post or not. But anyway.. i am wondering. Im 17 right now and i have been to a consultation about getting braces on, i decided i didnt want them and was told ill still be on the list incase i change my mind. So now iv changed my mind however i am 18 in 3 days.. will i still be able to get braces on the NHS for free? Im not sure. A reply asap would be good. Also i have to get teeth taken out before the braces, how is this done? Hi! I am about to get my braces soon and I just can’t really get a grasp on how they put in the wire. Do they just place it on the brackets? hey. I’ve got my braces on for a month now, I’m wondering why my teeth doesn’t hurt even after adjusting it. Is that normal? how do you brush your teeth with braces on? I got braces on early this morning and it’s about 10:00pm and my front right tooth literally feels like it’s about to fall out and I’m really worried that the brace is pulling it out farther, is this even possible?? my teeth are also very very aches is there any non medicinal ways to treat the discomfort? A few comments for curious and nervous people. Braces are nothing to be afraid of. I had very little discomfort getting them on. I only had one crooked non visible tooth from my wisdom teeth, so I debated getting them, it was because the one tooth made my bite crooked so it has changed that but being born with straight teeth it was a hard decision and despite that getting them on was easy my experience is opposite to most people my teeth hurt worse every month!! The first few months I had very little pain but experienced some headaches occasionally. They became more frequent them subsided a bit but the teeth started hurting worse as the wire increased. Also at first they never hurt after the adjustment like others experience, mine usually hurt about 3 weeks later just befire my next appointment like they didn’t shift immediately. Now (1 year in) however, with the thick wires they hurt right after and bad!!! I’ve been in pain for 2 weeks and I don’t take pain pills but tonight I finally took a half a strong pain pill as ibuprofen has done nothing for 2 weeks and it got worse today. That being said if you need them get them but I would not do it again if I knew how bad it could be but again I had the straightest teeth honestly it was a bite issue that never bugged me. Also cleaning teeth is hard I always had white teeth but they are stained and look yellow compared to white braces. Don’t get white!!!! More on this later but buy a waterpik it’s been amazing to help me not deal with floss. I also brush with charcoal and baking soda every so often to help with stains but also skip brushing on nights like this when pain is so bad which honestly only started after about a year. Okay also don’t get white because I’ve heard they are more scratchy on the mouth which I can’t verify personally but an ortho told me teeth moce slower sometimes too!!! Luckily I’ve had no lost hardware and only needed to watch what I eat on sore days which had been rare until recently. Sorry to make braces look bad I just feel they are not that necessary for me to be in the pain I’m in and my tolerance is very high; I’ve had piercings in front of live audiences, I get everything on my body waxed, I’ve been in a severe car accident, broken bones and never take pain pills. Hi, my name is Jo and is my third day of wearing braces and I cannot speak well. How long will it take me to get back to normal…? to be able to speak like I used to? I am waiting your reply ! Does it hurts when doctors put in the metal bands I getting my braces next week and I don’t know nothing about it please answer. I’m just wondering why do I feel that dull pain before even putting the wires to my brackets? I’ve gone for teeth extraction 2 days back and my orthodontist had glued the brackets to my teeth and attached those metal rings as well at the back of my teeth. I’ll only be putting the wires tomorrow. I read that it is normal to feel pain after putting the wires, but I have not even put on the wires and I’m already feeling that dull pain in my mouth (not at the extraction area). Why is that so? Is it normal? I got braces put on 3 days ago I’m 26. My jaw line hurts! It don’t hurt unles I rub it? Why could this be? Also I can’t touch my back teeth together so it makes it hard to eat!!!! Help please! so I’m getting braces this Friday and I’m really nervous about it and I don’t know what to do ????? My name is Ana i’m 11 years old, when I went to the dentist they said next time they see me they’ll consider thinking about an appointment to the orthodontist, I’m not very fond of the dentist so I cant imagine how the orthodontist will be like. If I do need braces I’m worried it will really hurt, when I was younger I used to hurt myself and my father had no sympathy so I learned not to cry and at the same time I grew a high pain tolerance, will this effect the braces. Also when people say its uncomfortable what do they mean! I don’t understand how it’s going to be uncomfortable. Looking through the comments I found yours. When I had 2 teeth taken out (1 top & 1 bottom) they had to put 4 injections in the top one. Enough of that, the bottom teeth were a breeze, trust me it wont hurt a bit! ~Do spacers or braces hurt more after being put on? ~On a scale of 1-10 how bad do each of them hurt. ~Could you describe the feeling of the pain that occurs afterwards in the best way possible? That’s it, thank you for taking the time to read my comment? I got my braces ages ago but suddenly they really hurt again – especially when I eat. Why is this? Can i stop it? Hello, I have a concern. So somehow, my front tooth is very forward. It juts up and it’s not straight, and if I were to get braces, it would be like a little bump. Am I still able to get braces even though the braces and wire will have to go up, and then back down? I just had my 3rd and 4th tooth extracted, in 3 weeks i get spacers and then 4 days later braces put on. Im 40 y o female. My mouth is not happy right now feeling very bruised but looking forward to fixing this over crowding of teeth. Wanted braces for over 30 years. My name is Karina i’m 17 years old, I got my braces about 3 days ago. I went through all the pain and pressure but right now my teeth are feeling really itchy. I was just wondering if that’s a common thing for people who just get braces? I brush them at least 3 times a day now (but very carefully since they’re really sensitive right now). I just put on my braces this morning. And now it hurts a lot. How long does it usually take for the pain to go away? What can I do at this moment to reduce the pain? I have a fear of needles, and I might be getting braces soon. Do you get a numbing shot when you get braces? Is the Blue Dental Curing Light Harmful? Can Dental Anesthetic Really Make Your Heart Beat Faster?